If you’re like me, the words “nasal aspirator” were never a part of your vocabulary until you had a child. Now, even with the difficulty of keeping my squirmy toddler still long enough to use it, it’s a lifesaver and something we always have on hand. Baby Doppler was kind enough to send me their new Nasal Aspirator, the Snotty Buddy to try out. I thought it wouldn’t be something I would be able to use until new baby’s arrival but then my 2 year old got hit with a very snotty day. Even when picking him up from school, the only note was “a lotta snot.” It was the perfect opportunity to test the Snotty Buddy out. My son is old enough now where he could understand what it does. He doesn’t love what it does, but he gets it. He tried playfully putting it into each of our noses before we explained that it was for him and his “boogies.” It worked wonderfully. In comparing to other nasal aspirators, the tubing with Baby Doppler’s is thicker and feels a little more durable. The mouthpiece is notable as well in that it has a sort of guard so it doesn’t fly out of your mouth. It may sound like such a small thing, but when you’ve got a toddler who is flailing about during the process, it’s nice to have that extra little bit of security to stay on task. 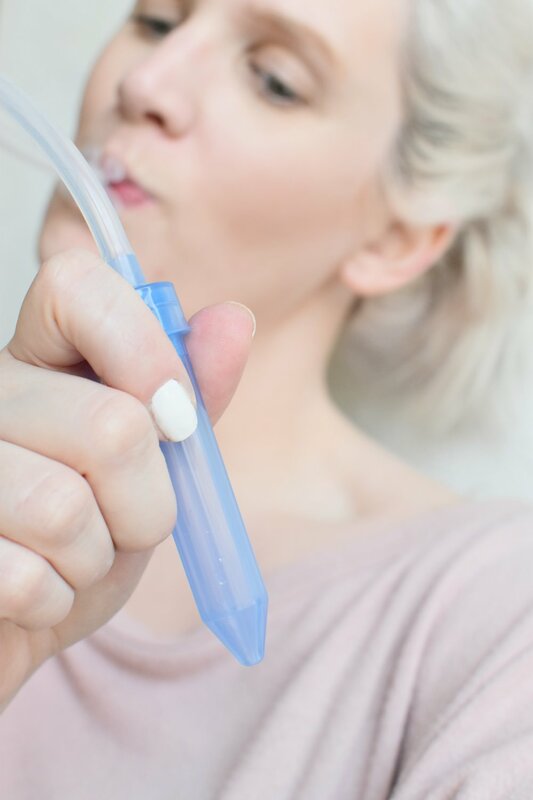 While a similar product tends to make it on everyone’s registry, I would actually say that I prefer the feel of Baby Doppler’s nasal aspirator. Maybe because it feels sturdier or maybe because of something as simple as some extra security around the mouthpiece. Regardless, if you’re in the market for one or headed to a baby shower soon, check out what Baby Doppler has to offer. Their products are relevant and they’ve become one of the companies I trust most when it comes to caring for myself and caring for my children.